My cousin, Tina put this poster up on Facebook. I agree with her on this. I am also proud to say “I am proud to be an American”. 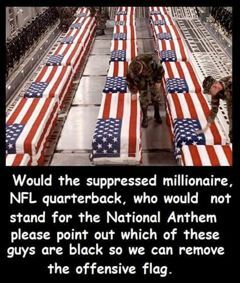 Why do I support our Armed Forces and Veterans. On my dad’s side of the family, they came to the USA from Ireland before the potato famine and the Revolutionary War. They also served in the Revolutionary War to the World War 2. After World War 2, it was the matter of joining the military. As a matter of fact, my dad served in the Marines at clean up at Korea. My Uncle Gene was in the Army, served in Japan. My Uncle Jack served in the Air Force and stay for little over twenty years. My mom’s side of the family well my mom only got as far as Civil War in her genealogy. She had family that served in Civil War on down. My uncles (Mom’s brothers) too served in the military. I can’t turn my back on my family history of valiant men who fought for what they believed in. It probably shows you were I get my patriotism from. Brandon Tatum has a wonderful message about NFL and where the NFL should be placing their protesting energy at Compassion. 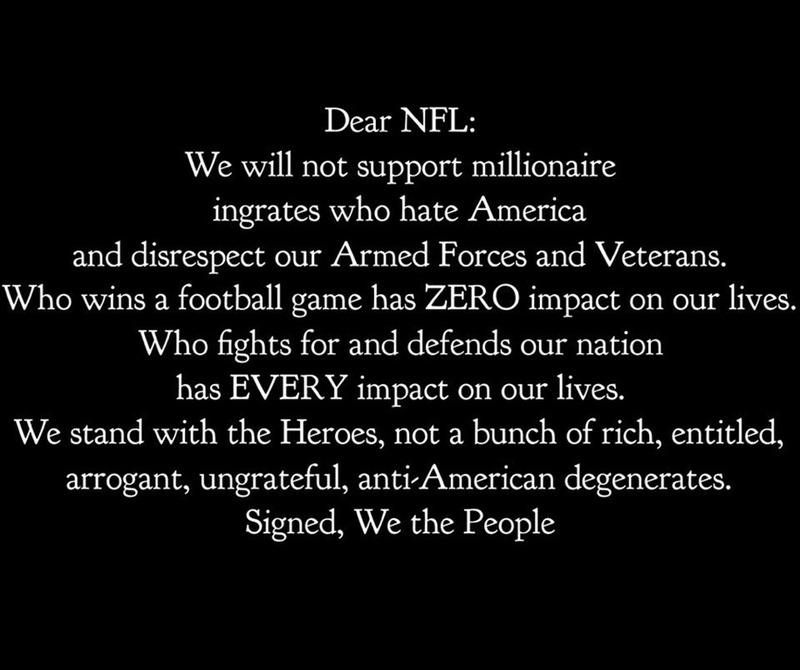 There is a lot I have said lately on-line about this NFL action, but I’ll keep it short here – it makes my point! !